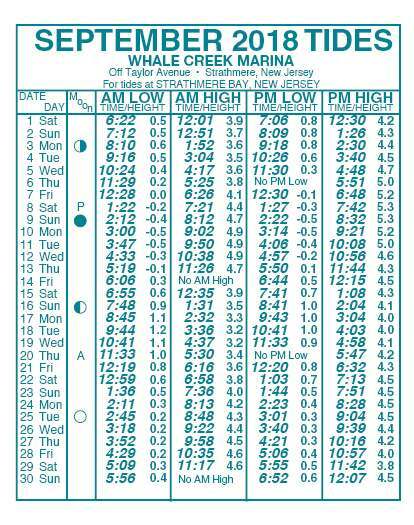 Click on an image below to open in a light box. 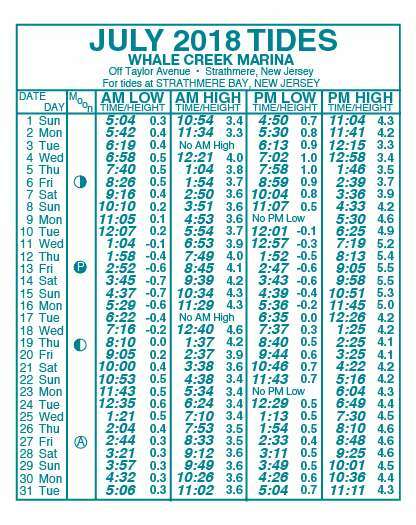 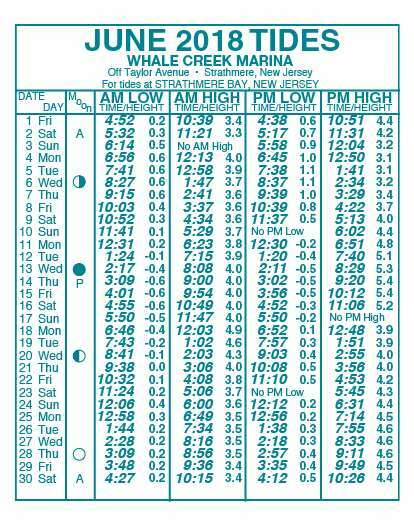 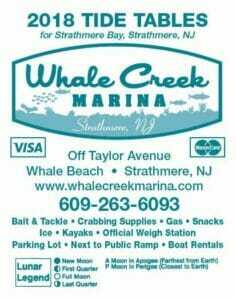 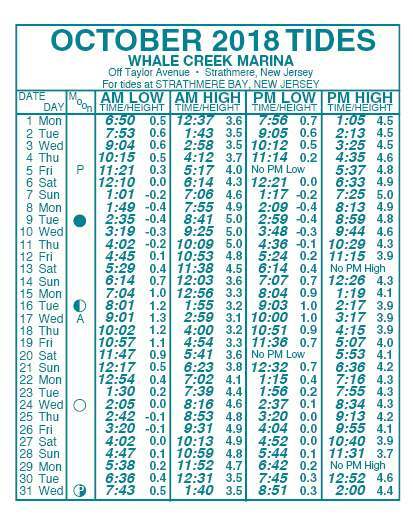 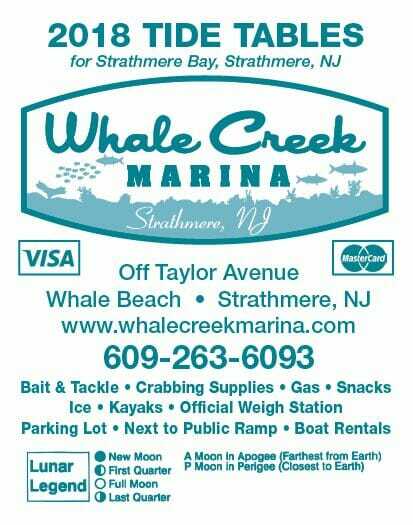 Remember, you can get a complimentary paper version of the 2018 Tide Tables for Strathmere Bay at Whale Creek Marina when you stop in to get your fresh bait or rent a boat. 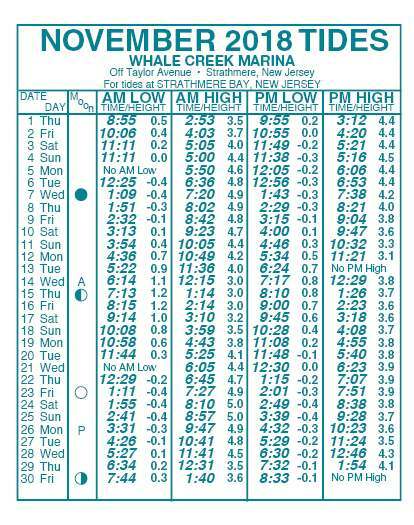 Click on an arrow below to open in a light box. 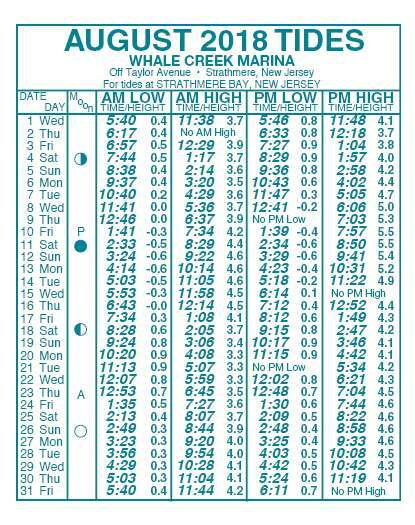 Remember, you can get a complimentary paper version of the 2018 Tide Tables for Strathmere Bay at Whale Creek Marina when you stop in to get your fresh bait or rent a boat.